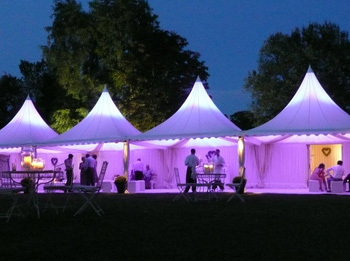 We have a wide range of marquee tents available in any shape or size – perfect for whichever event that you might be having. All our tents are 100% waterproof and suitable for use in any terrain – which means you need only worry about providing for your guests. Our qualified personnel ensure that they pitch them in a manner that they will remain strong in the face of adverse weather conditions. No matter the kind of event that you are planning, just get in touch with our tent hire Phoenix team and we shall deliver exactly what you need. Our services are affordable and available throughout the year. We have exactly what you need to make your event memorable. Contact us for the best tents for hire in Phoenix as well as gazebo hire services. For more information call 031 100 1905!